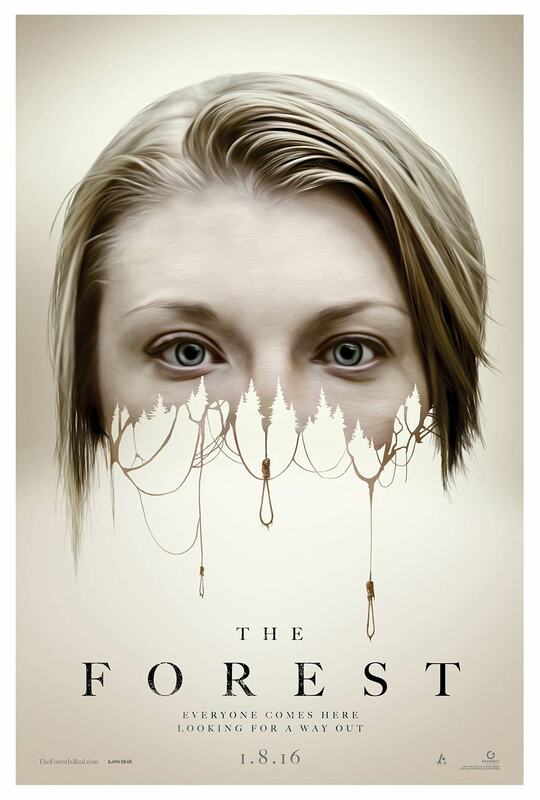 Hollywood Insensitivity And "The Forest"
What's wrong about this new horror movie supposedly based on true events. In theaters on January 8, the new horror movie “The Forest” is advertising away on social media—and the plot, trailer, and everything about it leave a bad taste in my mouth. Before I begin, let me introduce this film including my knowledge and what I gathered from watching the trailer and reading summaries on Wikipedia and IMDb. “The Forest” takes place in the Aokigahara forest, a real forest at the foot of Mt. Fuji in Japan. The Aokigahara forest is nicknamed as the Sea of Trees for its luscious greenery and has been designated as one of Japan’s natural monuments. At the same time, this forest is also known as the Suicide Forest where thousands go to take their own lives, and it is the second most common place worldwide for suicide, the most common place being the Golden Gate Bridge in San Francisco. The popularity of the Aokigahara forest as a place to take one’s own life is said to be associated with Japanese novels and mangas that feature this spot, and also with the serene silence of the forest from its dense nature. The horror film follows main character Sara’s journey to Japan and into this forest in attempt to find her twin sister who has mysteriously disappeared. Despite warnings from the locals to not enter ‘the haunted’ forest, Sara and her (randomly gathered) crew enter, “only to be confronted by the angry and tormented souls of the dead who now prey on anyone who crosses their paths” (Wikipedia). The trailer showed hanging corpses from trees in a demonic fashion and flashed scenes of zombie-like hands grabbing the characters, basically showing us that “The Forest” was just like any other ordinary (dumb) horror movie. Some people have already spoken out about the discomfort they feel towards this film, but their main argument lean towards the problem of whitewashed Hollywood and cultural appropriation from the lack of Asian representation. As much as I agree on questioning this film, I reified my discomfort towards “The Forest” as the insensitivity of Hollywood and intersectional marginalization of the mentally ill Japanese—specifically felt because I was a Japanese American that knew and cared about the Japanese culture. Although the real facts about Aokigahara do not matter in my argument or my continued discomfort with “The Forest”, I do want to include a few that show how the film’s representation of the Suicide Forest as this creepy, haunted place “based on true events” is wrong. After my thorough research on the Aokigahara forest, I found that parts of the forest are actually designated camping sites and nature parks that attract tourists across the nation. Only the very deep parts of the forest are advised against from entry, not because of any paranormal activity, but because the area becomes easy to get lost in and compasses do not work from concentrated iron in the forest soil. The local people of the Yamanashi Prefecture are working towards improving the image of the forest and find it sad that media repeatedly portrays the Aokigahara forest as a negative place. In reality, the forest is literally a beautiful sea of trees—the lively nature is a place of peaceful escape. I want to reiterate the fact that the Aokigahara forest is a real place in Japan, and that real people are affected by the sadness that surrounds this spot. Horror movies clearly want the “based on real events” and “based on a real place” selling pitches to add to the spook effect—but to me, setting up Aokigahara as a haunted forest and demonizing the existing dead cross the line. Yes, hanging corpses and skeletons will be found in the Suicide Forest. And it is so important to remember that these are real people who all had loved ones, who all had a story, and who all were pushed to the limit that taking their lives became the best option. Suicide is a national problem in Japan. The Japanese culture is one that heavily values responsibility and humility, and in addition to the strict work ethic that is taught and expected, many people are pushed to their limits especially at the workplace. However, mental illness and suicide prevention are both not talked about in Japan, and despite increased signs and patrols of the Aokigahara forest specifically, not much has improved. In fact, no one talks about mental illness among Asians in the U.S either, perhaps because we’re just “so smart” that it doesn’t affect us, and I just find it disappointing that when the U.S had the opportunity to bring up mental health among Asians (the Japanese specifically in this case), they chose to turn it into a horror Blockbuster instead. I do not expect the U.S and especially Hollywood to take any sort of initiative to help Japan’s suicide crisis, but I do find it problematic that Hollywood chose to exploit this serious problem in Japan for profit. The film is insensitive to those affected by the deaths that occur/occurred in the Aokigahara forest and to Japan’s serious crisis that needs attention for the right reasons. In addition to the insensitivity of Hollywood for producing this film, I find the demonization of those who took their own lives to be outright disrespectful and a form of marginalization of the Asian mentally ill. I was shocked to see how the film literally called the spirits of the dead as “angry” souls that were out to “prey”—they actually chose to misrepresent the real (will continue to emphasize that the dead they speak of are real) people that took their lives out of despair and sadness as angry, hate-filled souls that are ‘out to get you’. The lack of public outrage from the advertisement of this film has found me thinking that perhaps no one cares because it misrepresents the foreign “other”—basically, as long as the misrepresented real dead that were mentally unstable are not American, it doesn’t really matter. Imagine a horror movie about the “tormented, angry souls” of the people who took their lives at the Golden Gate Bridge “preying” on people that “crossed their paths”. It would cause a national outrage. The insensitivity of Hollywood and marginalization of the mentally ill Japanese both boil down to (what a surprise!) a form of cultural appropriation: adopting an aspect of a culture without acknowledging where it comes from or the context of it and exploiting it for personal gain. Hollywood movies are not meant to have social incentive or necessarily be 100 percent ethical, but I still believe that there is a line that should not be crossed when it comes to exploiting other cultures and its people for profit. Again, Hollywood is not necessarily supposed to portray reality, but misrepresentation is, in my opinion, completely separate from having a fictional storyline. If films are done right, I believe they have the power to do a lot of good by inciting important conversations, and in this situation, helping bring an end to the negative stigmas surrounding mental illness and raising awareness about Japan’s national suicide crisis. Although horror isn’t a genre we should take seriously anyway, I still find “The Forest” to be an insensitive film that did not take Japan, its culture, and its people seriously—and to me, that is a serious offense.